Holiday Gift Guide: Latina owned businesses and women you are sure to love! At a time when the political climate has been polarizing (to say the least) and “fake news” has dominated the twitter feeds we are reminded we can take action and vote with our money. That means supporting small business’s and in the case of this Holiday Gift Guide blog my Latina hermanas. When I put a request out to these amazing women to be included in my holiday gift guide I was not surprised by the uniqueness in the products they offer and the passion in which they create or source them. So if there is anything each of us can do it’s vote with our money. With that in mind, I’ve rounded up a few of my favorite courageous Latina-owned businesses you can support (and impress your loved ones with) this holiday season. I started Del Alma Publications because I saw the scarcity of authentic bilingual books for children, especially in bookstores. Maricia Rodriguez is from Zapata, TX. Shout out to my fellow Tejana! Del Alma Publications is an award winning, Latina owned independent book publisher. Their keen focus is on producing bilingual, bi-cultural books relevant to today’s growing Hispanic population living in the United States. They pride themselves in producing quality educational materials in English and Spanish with a regional cultural focus to empower and enrich the Hispanic community with educational books and materials. Their mission is to, “Meet the Bi-literacy Challenges of the Hispanic Learner”. Maricia started because she saw the scarcity of authentic bilingual books for children, especially in bookstores. Personally, as a Hispanic woman born and raised in Texas where the border crossed us, not the other way around I am the first to raise my hand and say this is much needed. In my family alone we have generations of bilingual Spanish/English speakers and Spanish is my parents first language and yet I’ve seen first hand Spanish get lost in just 2 generations. This makes me so sad to see and yet I’m honored to meet Maricia who is doing something about it. Del Alma Publications is proud to offer 20% off of all their books for teachers and librarians, schools and libraries. For me, art was where imagination meets inspiration. It was where creativity through colors brings personalities and things to life. Let their pet-sonality shine in pop art. I have the privilege to call Terray not just my personal friend but neighbor as well! That’s right Terry is located right here in Leander, TX. Amorada Tequila can be found in over 255 locations throughout the United States and her biggest supporter has been Total Wine and More. So while it can’t be purchased online if it’s at a store near you (go to her website and plug in your location to see where you can find it nearest you) you will be sure to be giving a unique and well received Christmas gift especially for the Tequila connoisseur. I guarantee it! Terray was born in Mexico City but moved to El Paso, TX at a young age with her five other siblings and her single mother. She started Amorada Tequila in 2014 using only the finest ingredients and attention to detail creating a tequila that would appeal to a more sophisticated palate and goes head to head with any celebrity endorsed Tequila; I promise you Amorada tequila would come out on top (trust me we’ve tried it!). Terray also founded Amorada Love Movement (ALM) a non-profit organization targeting young women by creating scholarships and teaching empowerment If I could suggest any one of her varieties for a Christmas gift it would be the Añejo for it’s deep red packaging and happens to be me and my husbands favorite! I am 100% handmade with love and each one of us is completely unique. That said, I’m the one for you. While the seams and stitching might not be perfect to your eyes, I was created like this on purpose. To remind you that life isn’t always perfect. We believe that real is better than perfect and every time you see my little “imperfections” you can also see that my purpose in this world is still accomplished. Pam is based in San Diego, CA and spends a lot of her time in Phoenix. Lucky girl! Pam started learning about mindfulness and realized there was a need to create something that reminded us to be present. She created Snoozet a product that invites us to intentionally put our device away so we can live outside of our phones. Can I get an Amen! I dream of seeing these on every lunch and dinner table with phones tucked away and friends and families actively engaged in conversation and in the moment. Each Snoozet is 100% handmade with love and each one of is completely unique. That said, the one your receive upon purchase is the one for you. While the seams and stitching might not be perfect to your eyes, Snoozet was created like this on purpose. To remind you that life isn’t always perfect. We believe that real is better than perfect and every time you see Snoozet's little “imperfections” you can also see that their purpose in this world is still accomplished. With every Snoozet purchase Pam gives $5 to a non-profit and if giving back and mindfulness wasn’t enough every Snoozet is unique so once it sells out of that specific design or model it won’t be made again. I love this! In a world of Iphones and Androids dominating the market let’s be different. Let’s be mindful. Cecilia is from Uruguary but resides in California. 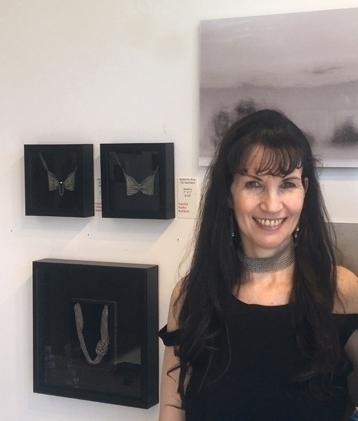 Cecilia is an artist at heart and expresses her creativity in so many forms and Cecilia’s STEEL is her expression for the timeless, feminine strong woman. With Cecilia’s STEEL jewelry line she wanted to create in a medium that symbolizes resilience, fluidity, femininity and strength. Your source for compassionately and organically grown turmeric and foods nourished by the rain forest. Dina is from San Luis Obispo, CA, she started Timeless Turmeric when she lost her job after becoming disabled from Multiple Sclerosis. She was looking for natural ways to begin healing her body. For many, the diagnosis of MS would have stopped them in their tracks but for Dina it opened up a world of nutrition and a holistic journey to living the best life possible. It’s Dina’s personal mission to seek and find the best foods to share with the world and to ensure everyone has access to them. The foods from her "Biolley Buzz" coffee to Timeless Turmeric to Timeless Green Banana Flour are grown using biodynamic and organic farming methods in Puntarenas, Biolley Costa Rica. These foods that are nourished by the rainforest water flourish and are harvested when they are at their peak not only bringing them to their fullest nutrition potential but then they make their way from the farm to your home and into your body so you can have Timeless Health. Inspired by world travel and modern taste, pharaō is a unique line of jewelry accessible to everyone. Monica was born in Louisiana, raised in San Antonio, TX and now calls Austin, TX her home. She’s been making jewelry since high school after discovering her local bead shop. 3 years ago, Monica made her side hustle into a full time business and hasn’t stopped since! She uses her extensive travels and experiences along with a natural taste for the arts to develop a unique style that transcends time and fashion. Every piece is made with love, quality, and attention to detail. I met Monica through the Austin local vendor circuit and hit it off quickly with her. I’ve even made a purchase or two of her jewelry. She makes the kind of pieces that are simple and delicate yet makes a statement to those that pay attention. You can find Monica both at her website Pharao Jewelry and if you happen to be in Austin during the holidays she’ll be at the Junior League Christmas Affair November 14-18. I believe that the objects we bring to the table and home are important. That's why I take the time and care to create pieces that will make mealtimes more special, gatherings more meaningful and the home more beautiful, in hopes that you will enjoy each item as much as I enjoy making them. I’m really excited to get to share Eliana and her work. She’s a woman that takes creation with your hands to a whole other level. Eliana is from Amarillo, TX but now resides in Austin, Tx. she studied studio art in college and focused on ceramics. Having interned with other ceramics artists her love and passion grew with the medium. Just like many entrepreneurs it’s not a full-time gig in the beginning and Eliana is no different having started her business in 2014 part-time she hustled her way into making it full time in February 2017. Her current collection is inspired by marbled patterns created out of multiple experiments with liquid clay. In the Marbled Collection, the pattern varies from piece to piece making it truly one of a kind! You can find Eliana both at Eliana Bernard website or if you’re in the Austin area she’ll be at vendor at Love Child Mini Market on Sunday November 4th at the South Congress Hotel or at her Springdale General open for the East Austin Tour on November 10-11 and 17-18th. Tour numbers 219-224 in the catalog. She’s been sharing positive words and quotes for several years on Facebook but felt she wasn’t reaching enough women. 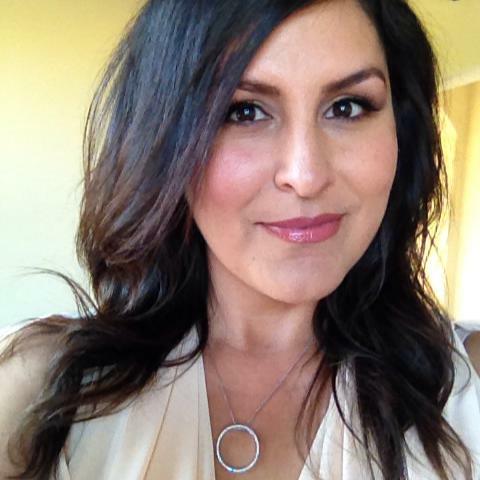 Danielle (Dani) Valenzuela-Rodriguez is from San Jose, CA and created the Rise and Shine App. She’s been sharing positive words and quotes for several years on Facebook but felt she wasn’t reaching enough women. As a woman she understands how she wears so many hats and if we could be real for a minute; it can be exhausting. Dani feels that starting your day with a good word of encouragement and inspiration can have a powerful impact on you and those around you; think ripple effect. She began to think about the best way to reach out and it dawned on her that the one thing we all have on us are our cell phones and from there the idea to create an app sparked. I can think of nothing more necessary in this day and age and for .99 per download it’s such an easy and “thoughtful” gift for this holiday season! I created Sanara, a skincare line for the conscious consumer using natural, plant based ingredients. Sanara is rooted in the Spanish word sanara which means ‘you will heal’; it acts as a beacon for the ingredients I source and the products I create. I know this might appear as self promoting and well I guess it is but as any entrepreneur would tell you if I didn’t include myself it would be considered a missed opportunity and we cry over missed opportunities and I couldn’t do that to myself. I also wanted to be able to share with you what I am offering my Sanara customers for any purchase made November through December. With any purchase $50 or over we will include our Spa Stucking stuffer which is valued at $24, no code needed we will automatically include it with any purchase $50 or over. I am thrilled to have partnered with a local Austin, TX candle maker Slow North in offering a gift with purchase. Included in your gift with purchase, Spa Stocking Stuffer, is a 2 oz. Cheer candle from Slow North, my Green Tea Bath Soak with Jojoba oil (yet to be launched!) all tucked away in a reusable and adorable muslin bag. Like any gift with purchase you can either keep it for yourself and “treat yo self” or get 2 gifts taken care of all in one swoop! Either way it’s a win/win! If you made it to the end of my blog felicades because it’s a meaty one! Also, as a reward for making it to the end I’m offering free shipping for all purchases in November and December just use code “HOLIDAYSHIPPING”. Merry Christmas y Feliz Navidad!